Boards and cover cloth are converted to a book case, which frames the book block (hardcover). 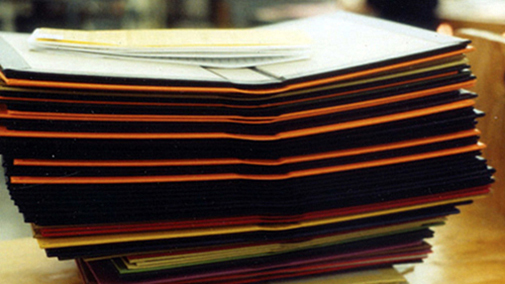 The covers are manufactured manually or semi-automatically depending upon machine. The GP2 products of EC-3, SC-2 and AC-20 models represent the latest generation of leading technology for "one off" and on-demand case making. These are ideal tool for short run as well as on-demand case making.. 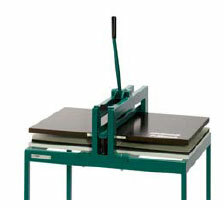 The PräZis is a device to cut the cover material to size in one-off full-bound book cases. 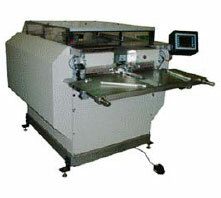 It is equipped with stops for turn-ins and joint width so that no further measuring is necessary. The maximum cutting length is 580 mm. The PräDeck is a pneumatic case-maker to produce hardcover book cases with changing sizes. Suitable for one-off and multiple production. The spine hollow width is progressively adjustable from 6 to 90 mm. 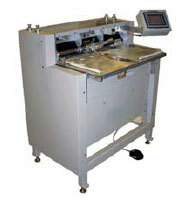 The EC3 Autocase is a semi-automatic case making machine for the production of one-off and multiple bookcases. Without complex set up, small runs can be produced easily and economically. The machine is operated by only one person. Turning-in of the case is done in a two-cycle process. The SC2 Autocase is a semi-automatic case making machine for the production of one-off and multiple bookcases. Without complex set up, runs of 1-300 pieces or more can be produced easily and economically. The format of the case is measured by sensors and the machine presets automatically. There are no manual adjustments necessary.. The toggle-lever case press PräKasch is designed to press down book cases, posters and calendar backs etc. after turning-in. 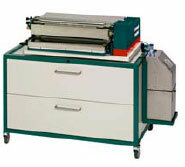 The two-roller gluing machine PräziCoat for the gluing of cloth for the production of book cases. Special equipment for animal glue for the processing of laminated coat papers. With automatic water supply PräVis for optimal viscosity. 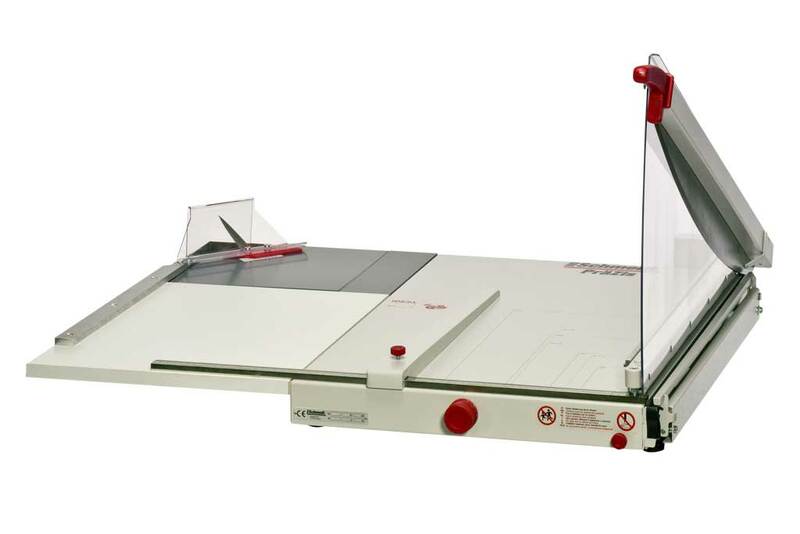 The PräziCoat Pro Type G1 is a gluing machine with rotating doctor roll for the use of hotmelt gelatine (hot protein glue) and is well-known for its clean application of glue. Roller speed as well as thickness of the glue layer may be adjusted. 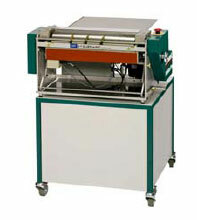 The machine has a patented, automatic viscosity control (AVC) regulating the solids of the glue at any time. The PräVis is a device for the controlled moisturizing of glue in gluing machines..
Glues in open glue bowls lose moisture and viscosity through movement, heat and dry air. To maintain the viscosity of the glue, it requires a continuously and metered water supply. The PräRund is an electrically heated device to round the spines of book cases. Without format settings all spine widths from 10 to 120 mm can be rounded. High output thanks to easy operation.